First of all, lets talking about erasmus? What is an erasmus? I think Erasmus is a cultural and academic activity that enables institutions to act in cooperation and makes human exchange. Why you choose Futuro Digitale/Terranova da Sibari (Italy) and what was the first time in Terranova da Sibari? I choose Futuro Digitale because, first they returned me. This make me happy because when you apply somewhere, they dont answer generally. Terranova da Sibari is a spacious and calm place which gives positive impact to you. And people are so helpful. Only the problem is transportation. It was difficult to come Terranova da Sibari. How was your Erasmus experience? What has this experience changed in your life? It was the first time out of my country. And before i come, i thought it is hard to go abroad. But now i can live in everwhere. that is the most important point i gain by this erasmus experience. I learned about different cultures and languages. 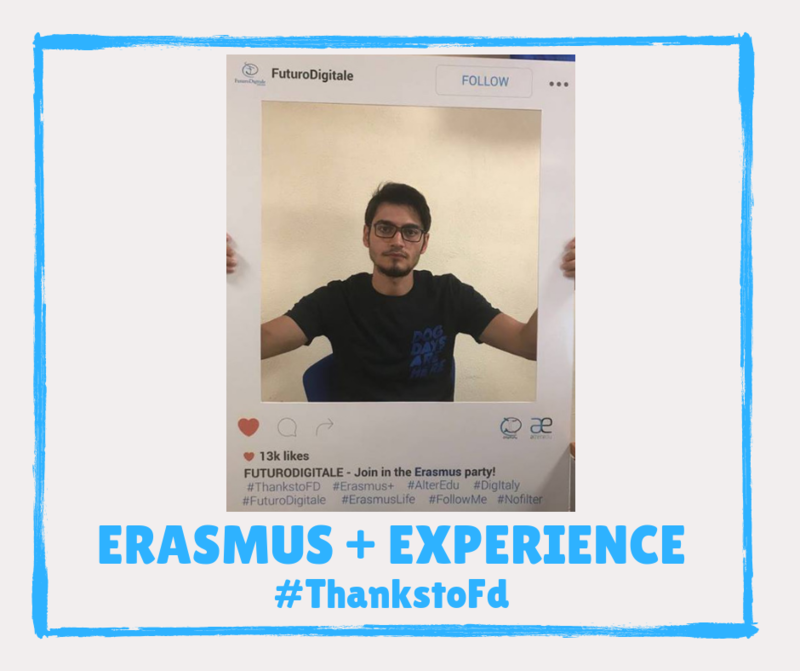 Do you have a moment that you did not forget during your erasmus internship experience in Futuro Digitale/Terranova da Sibari? I can’t forget about my friends. It was really good day we cooked good meals, we went outside together. We spend good time with good memories. You are recommended for students who will go to Erasmus internship? I think that every student should do that. I recommend don’t hesitate to make erasmus.